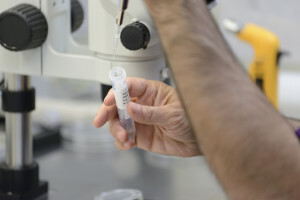 In vitro fertilization (IVF) combines a man’s sperm and a woman’s egg outside the woman’s body in a lab. After this process, one or more fertilized eggs would be placed in the woman’s uterus, ideally resulting in implantation in the lining of the uterus and development into full-term infants. 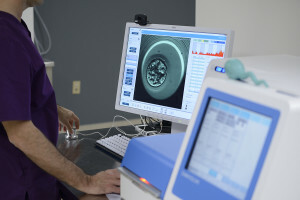 IVF is used for many causes of infertility, such as ovulation factors, tubal factors, male factors, age factors, uterine factors, endometriosis, or unexplained infertility. Currently, we are excited to mention the very high success rates through IVF at our clinic. The combination of talent and laboratory technology are paying off! 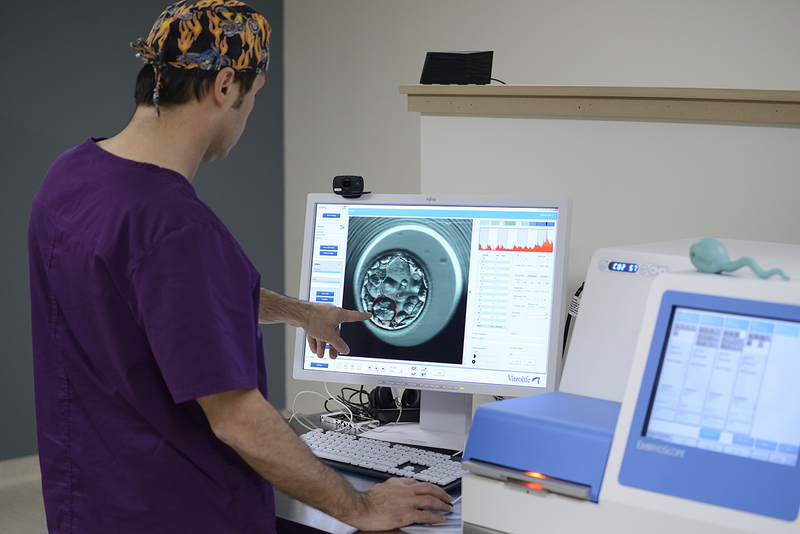 Here’s a brief photo tour of our IVF lab with Chief Embryologist, Dr. Cihan Halicigil. Preparation for IUI and IVF. 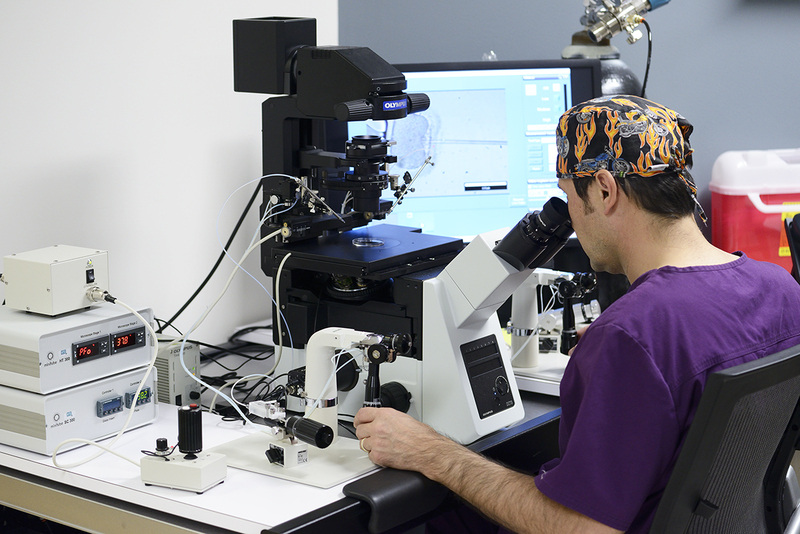 Dr. Halicigil performs micro egg injection. A culture dish with embryos. Dr. Halicigil works with the EmbryoScope. 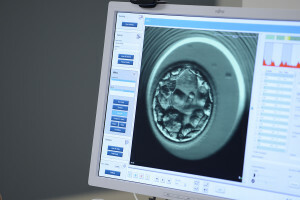 A screen image of a growing embryo. Monitoring growth with the EmbryoScope.